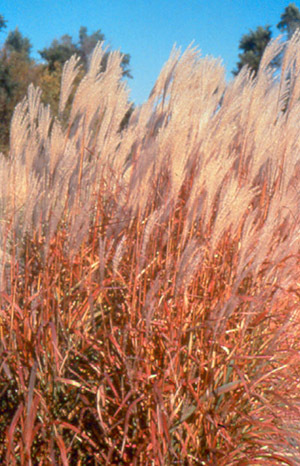 Plant Autumn Red grass in full sun, in fertile well drained soil. "Autumn Red" is tolerant of most soil conditions. Remove old growth in early spring before new growth emerges. "Autumn Red" prefers to not have a wet root zone over the winter. Remove old growth before new growth emerges the following spring. Max height: 36" - 48"